71% of organizations say employee turnover is highest during an employee’s first year. SOURCE: TalentKeepers Workplace America Report. TalentKeepers helps you keep your talent through better onboarding and early-tenure engagement tools. A Meaningful Way to Ignite Engagement in New Employees. Helping new employees connect and commit to your organization from the very beginning is essential to building an engaged, loyal, and productive workforce. Our award-winning onboarding solution supports this objective in ways no other approach can. Onboard Connection features the successful components of our CLEAR Connections solution implemented in a way that drives early engagement and reduces early tenure turnover. This process promotes the development of strong bonds between new employees and their leaders to drive more positive results in sales, service, and productivity. 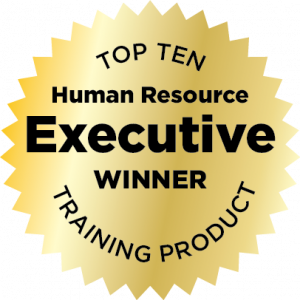 Each year Human Resource Executive® Recognizes the Top New Products Representing Excellence and Innovation in the HR Vendor Community. We are honored our product Onboard Connection was chosen as a Top Product of the Year. Human Resource Executive magazine, the premier publication focused on strategic issues in HR, conduct this annual award competition to uncover the best new HR products. Each year, the editors perform an extensive evaluation of the top HR products submissions. Winning solutions are selected based on their level of innovation, value added to the HR function, intuitiveness for the user and ability to deliver on what they promise. The FirstFit® survey asks employees to rate and rank the leadership and co-worker attributes they value most and the components of their career that are most important to them right now. It also measures an employee’s communication and recognition preferences. This provides leaders the opportunity to ask team members valuable follow-up questions to help them more effectively manage their teams, take direct action on results, and build a work environment with high employee engagement and retention. 8-minute onboarding survey that asks employees their preferences in a leader, career, coworker, etc. Handshake Connection is a blended learning program used to teach leaders how to conduct a structured Handshake meeting effectively. Tens of thousands of leaders have utilized Handshake Connection to become proficient and comfortable in conducting Handshake meetings with their teams. This is a structured, short 1:1 meeting between a leader and the team member to review FirstFit® Survey results. The leader will share what he/she will do to meet each team members’ needs, and the employee will commit to being an active part of the employee engagement effort. An online action plan allows leaders (and team members) to summarize their understanding of the Handshake Meeting, develop a plan to continue supporting their relationship, and increase the success of ongoing conversations. Just like the FirstFit® onboarding survey results, the online action plan is documented and follows the employee to ensure future leaders can effectively build commitment with their team members as quickly as possible. This is especially useful during organizational changes such as restructuring and mergers. Additionally, completion of the online action plan can be tracked to provide accountability for leaders. The FirstFit® Survey content is based on years of research. It quickly gets to the heart of what matters most. From the survey, to results, to action planning, the process has been designed with the busy manager in mind! Rather than being an “HR Initiative,” the entire process empowers managers to connect at a deep level and support engagement. It’s about much more than data, managers and employee are equipped with specific next steps to ensure action is taken.